Adam Schefter - ESPN Press Room U.S.
Adam Schefter joined ESPN as an NFL Insider in August 2009 and appears on a variety of programs, including NFL Live, Sunday NFL Countdown, Monday Night Countdown, SportsCenter and more throughout the year. He also hosts his own ESPN Audio podcast and regularly contributes to other ESPN platforms, such as ESPN.com and ESPN Radio. One of the top reporters in the industry, Schefter has covered the NFL since 1990. His influence extends to Twitter where he has nearly seven and a half million followers. 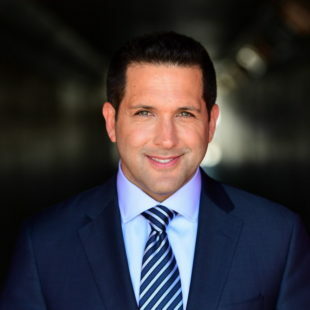 Due to the demands of his job, Schefter always has his phones nearby, and now is considered the first commentator in sports, news or any other genre to popularize using his device while on television during show appearances to break stories in real-time. Schefter’s reporting expands well beyond breaking news. He was part of ESPN’s telecast team for a 2017 NFL Wild Card game, he did an extensive NFL training camp tour with Chris Mortensen in 2010, and he has done other features for Countdown, including a personal story about his family’s connection to the September 11, 2001 terror attacks. A diehard basketball fan, Schefter has even done NBA sideline reporting for select games, including NBA Playoff, since February 2017. Schefter launched his weekly ESPN Audio podcast, Know Them From Adam, in January 2017. The interview series features long-form conversations with individuals who have a connection to pro football. Discussions touch upon football and news, as well as life lessons, philosophies and more. Schefter has earned many accolades for his work. Sports Illustrated’s NFL site, The MMQB, named him the 2014 Media Person of the Year for breaking multiple significant stories during the NFL’s free-agent period and off-season. In February 2014, Schefter was named “the most influential New Yorker on Twitter,” according to data from social media company PeerIndex. In October 2010, Sports Illustrated included Schefter in its “Power 40+”, a listing of the most influential people involved in the NFL. SI also ranked him (and senior NFL Insider Chris Mortensen) at No. 13 on its list of the Most Powerful People in Sports Media in March 2013. Schefter was voted “Best Insider” three straight years USA Today conducted fan surveys. Before joining ESPN, Schefter was a reporter/analyst for NFL Network (2004-08) and a sportswriter for more than 15 years for the Denver Post and the Rocky Mountain News, where he covered the NFL and the Denver Broncos. A former president of the Pro Football Writers of America, Schefter has authored five books. His latest, The Man I Never Met: A Memoir (co-authored by Michael Rosenberg), is a powerful story of loss and hope, centered around his family and the memory of his wife Sharri’s first husband, Joe Maio, who died in the September 11 terror attacks. Schefter’s other titles include Romo: My Life on the Edge Living Dreams and Slaying Dragons about former Broncos linebacker Bill Romanowski, which was on the New York Times bestseller list. Schefter also wrote books with former Broncos head coach and two-time Super Bowl champion Mike Shanahan and former Super Bowl MVP Terrell Davis. Schefter’s most recent title, The Class of Football: Words of Hard-Earned Wisdom from Legends of the Gridiron, was released in August 2009. A native of Bellmore, N.Y., Schefter graduated from the University of Michigan and later earned his master’s degree at Northwestern University’s Medill School of Journalism. He was the Colorado Sports Writer of the Year in 2002 and 2003 and frequently appeared on ESPN’s Around the Horn and the Sports Reporters during his time with the Post. Schefter, who is involved in a variety of philanthropic work, is active with Juvenile Diabetes Research Foundation (JDRF), acting to raise funds and awareness for Diabetes, as his wife, Sharri, is a Type 1 diabetic.